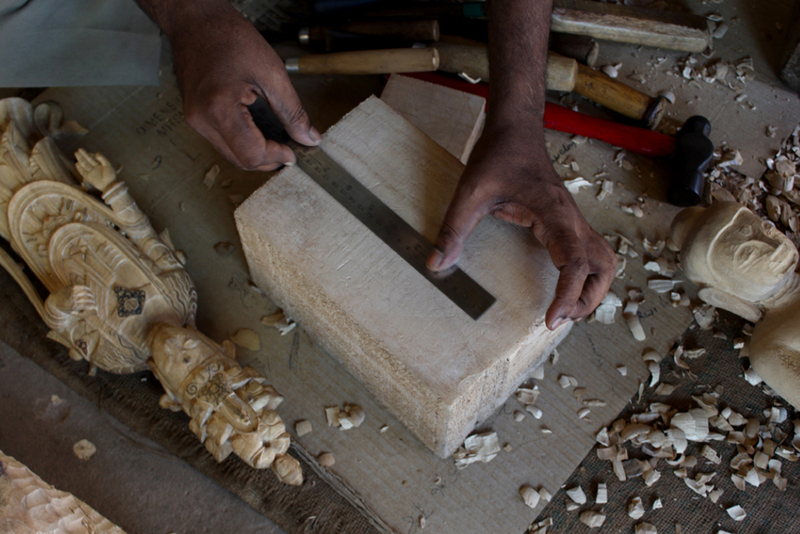 The wood that artist prefers to use for carving in Orissa is called as Gambari wood. 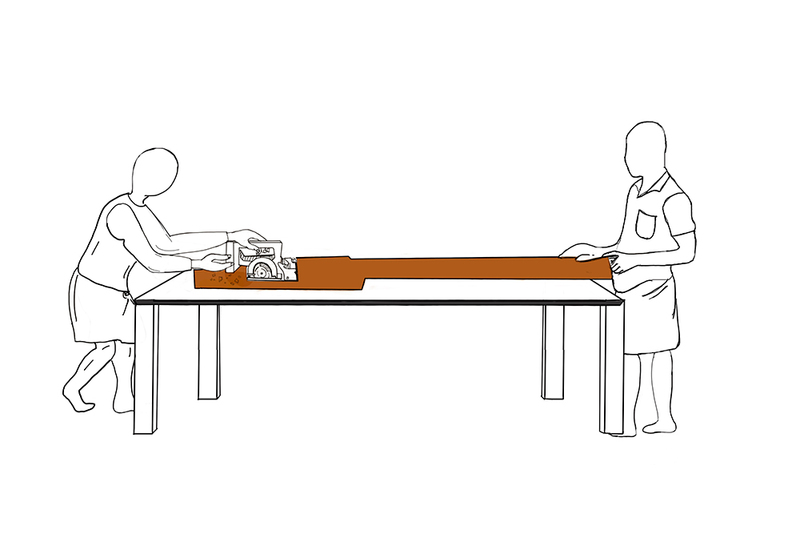 The first step is to select the wood and cut out the required size of wood block. 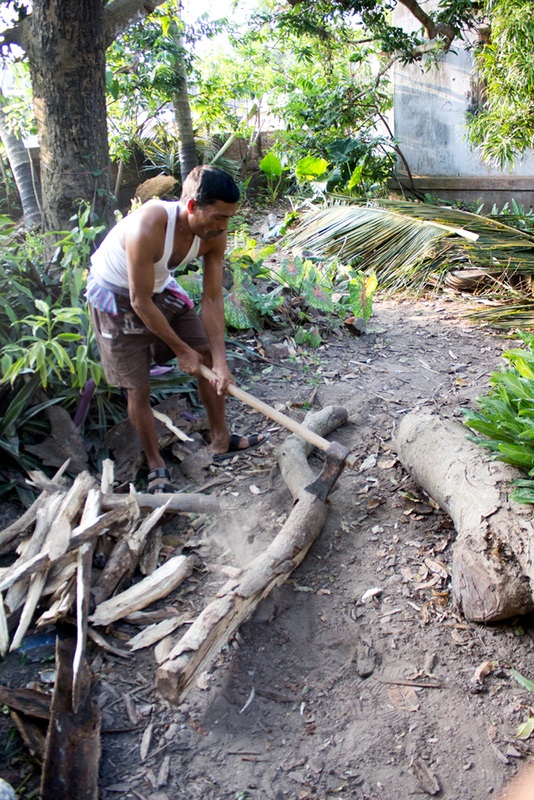 After cutting a block of wood of desired length and width, it is roughly marked with pen. 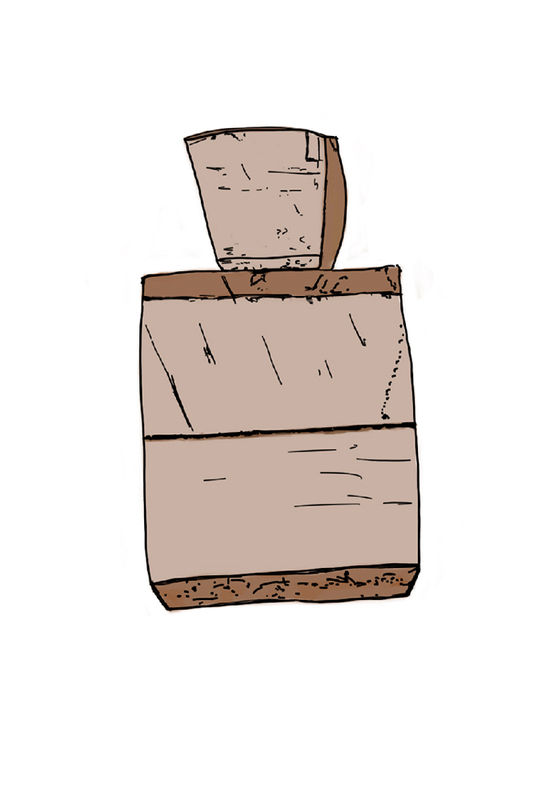 The outlines of the picture that has to be carved to an idol are marked on that block of wood. 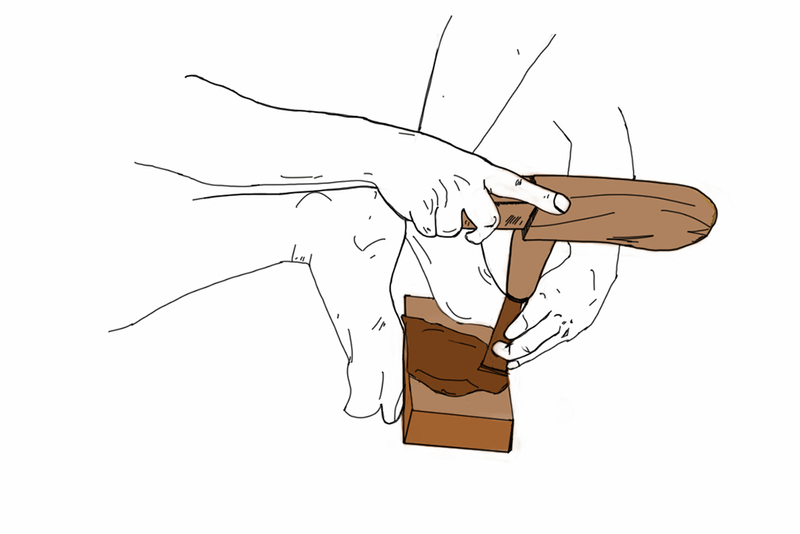 Rough outlines are drawn on the block of wood so it becomes easy to carve. 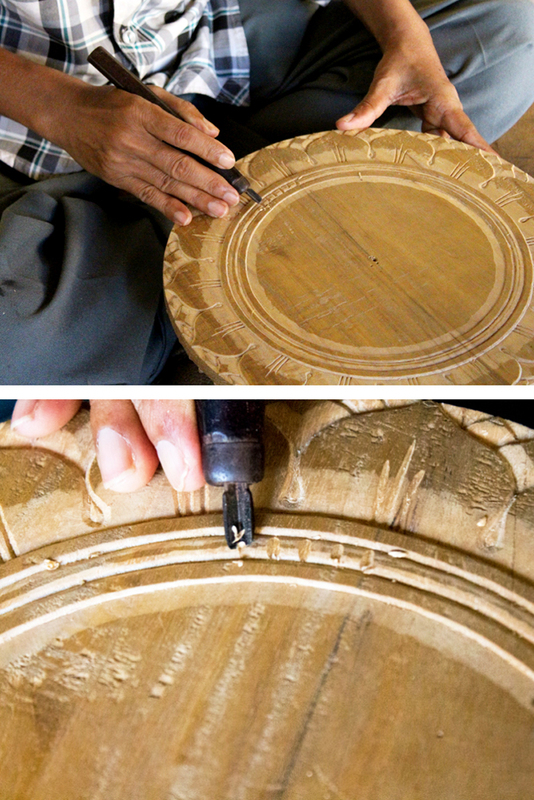 The outlines help the artist to carve and chisel out the wood. 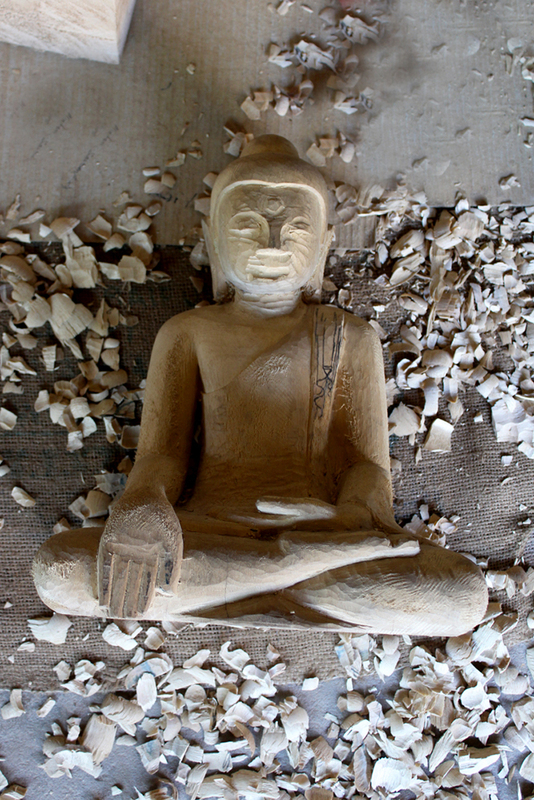 With the help of hammer and chisel artist carve out wood layer by layer. 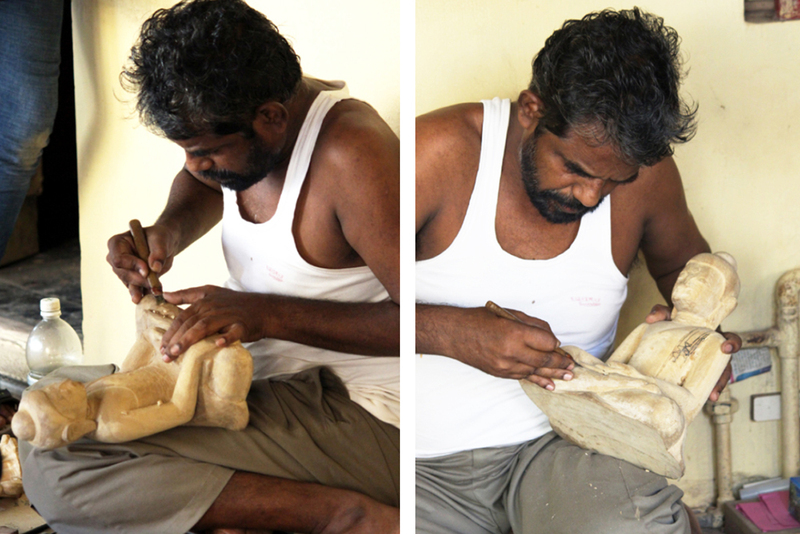 First artist roughly carves to attain the basic shape of an idol. 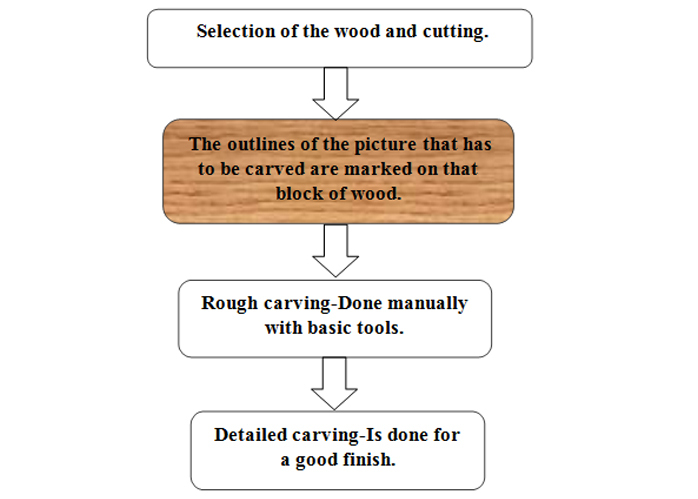 After rough carving the smoothening is made by using different types of files this process is called as fine carving. In this stage, the idol could be identified. The idol still has to go through a lot of refining or detailing, the jewelry part, eyes, nose and ears, everything else is done with tools held in hand. 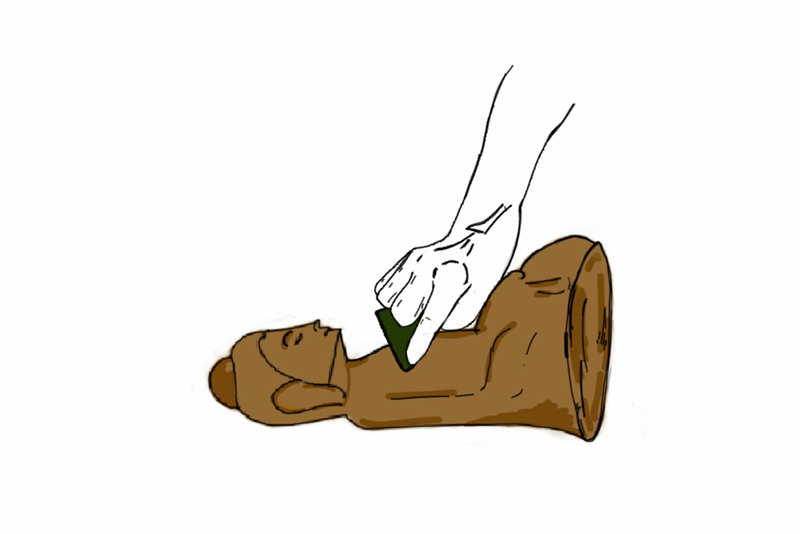 Other smaller chisel tools are used to give depth to the idol. The detailing is done for a good finish and a flawless work. 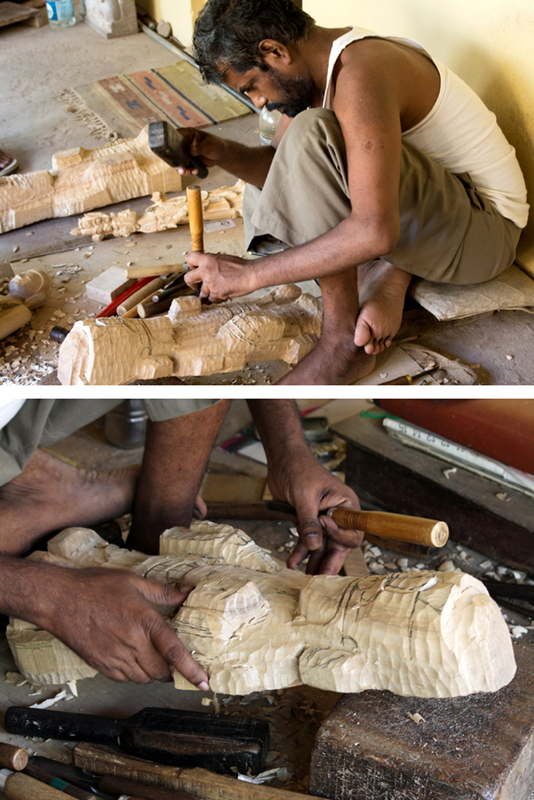 The idol is polished with wax after all the detailing is given and the woodcarving of an idol is complete. 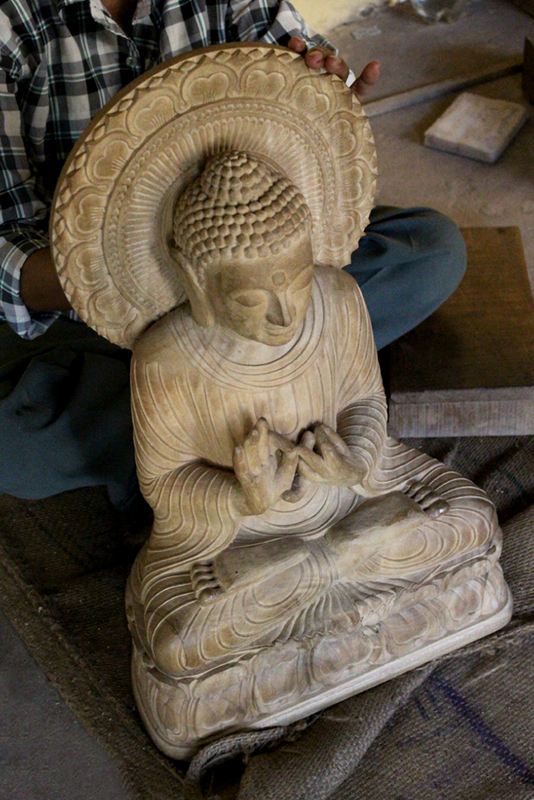 The idols are carved according to the orders that the artisans get. 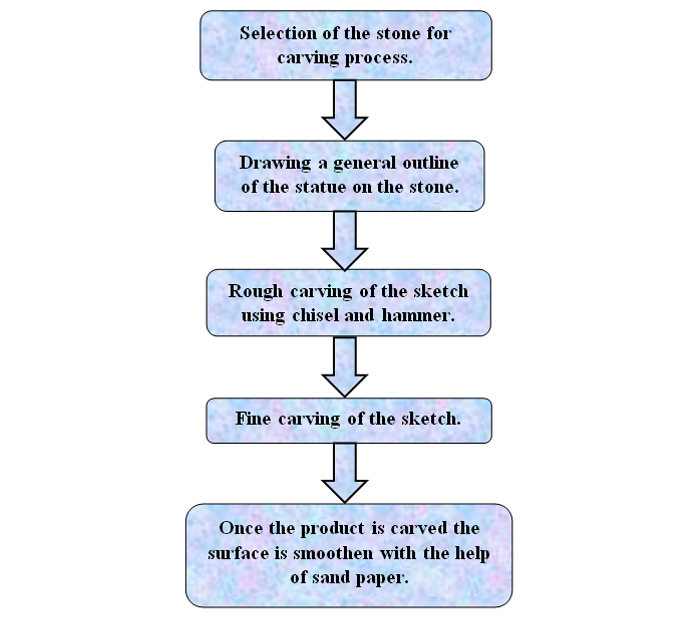 The making process starts by selecting fine quality stone. 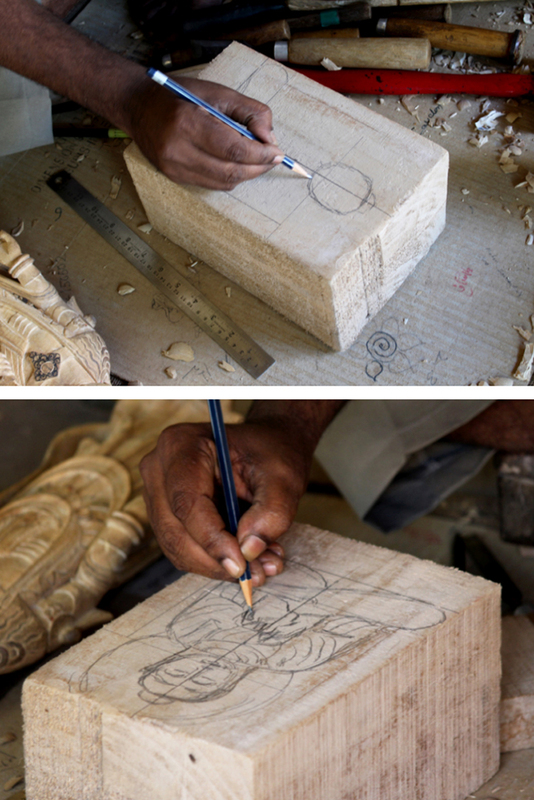 The artisan begin by drawing a general outline of the statue on the stone itself. When ready to carve, the artists usually begins by knocking off large portion of unwanted stones with the help of chisel and hammer. This is the roughing out stage of the carving process. The major carving is done with the help of chisel and hammer. The slight carving and jewels are made to attain proper ornament shape with pointed tools. After the products are completed the surface of the stone is cleaned by brush and polished by rubbing it with sand paper.